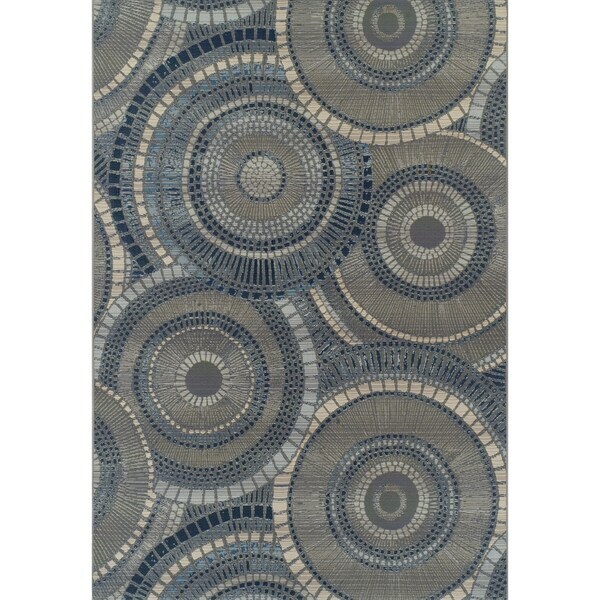 ADDISON Freeport Geometric Circular Blue/Gray Indoor-Outdoor Area Rug (5'1"X7') The is boldly designed to offer a splash of color to any living space. Perfect for your patio, entryway or sunroom. This versatile flat weave rug is family and pet friendly, easy care just vacuum regularly, spot clean or hose off outdoors. Safavieh Courtyard Flowers Black/ Natural Indoor/ Outdoor Rug - 5'-3" X 7'-7"
GAD Posey Beautiful Contemporary Geometric Indoor Outdoor Area Rug Cream Multi-Color - 5'3" x 7'7"